The latest instalment from the #onepoundpoem project. 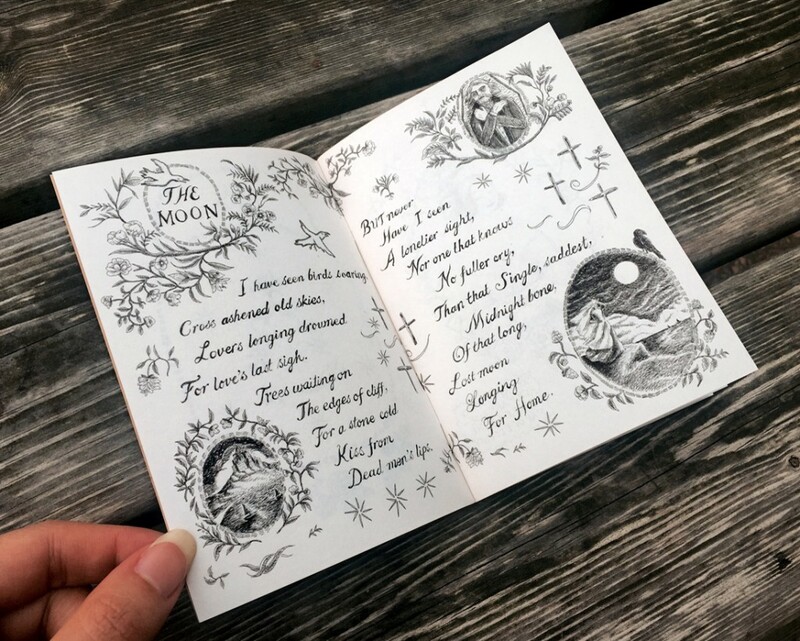 This fully illustrated handmade booklet of poems includes classics such as: “Depression”, “The Moon”, and “The Eye”. These poems were originally typed on a 1936 Remington Portable and prompted by passersby willing to part with a good pound from their purse. They have been reproduced here with similarly spontaneous sketches for your enjoyment. Available at the studio shop here. A6 booklet. 20 pages + full-colour cover. 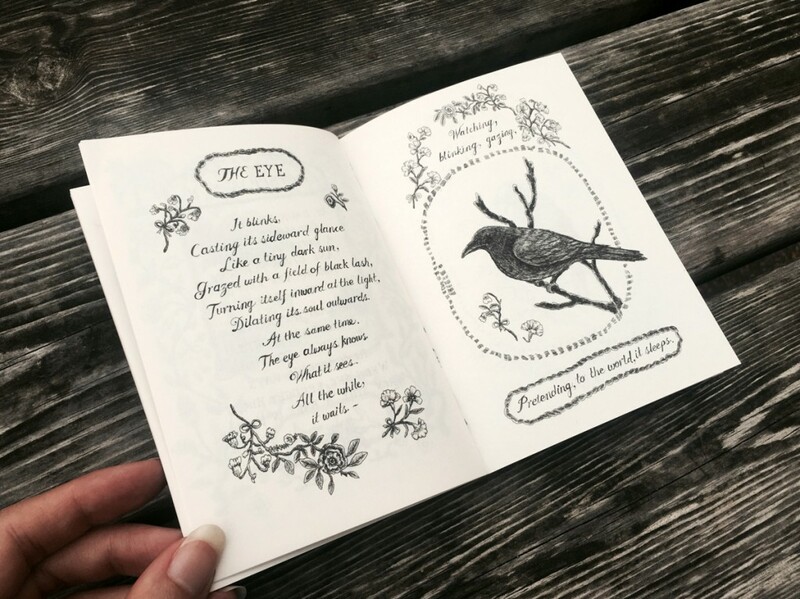 Printed on recycled and FSC-certified papers, and hand-bound in the United Kingdom. 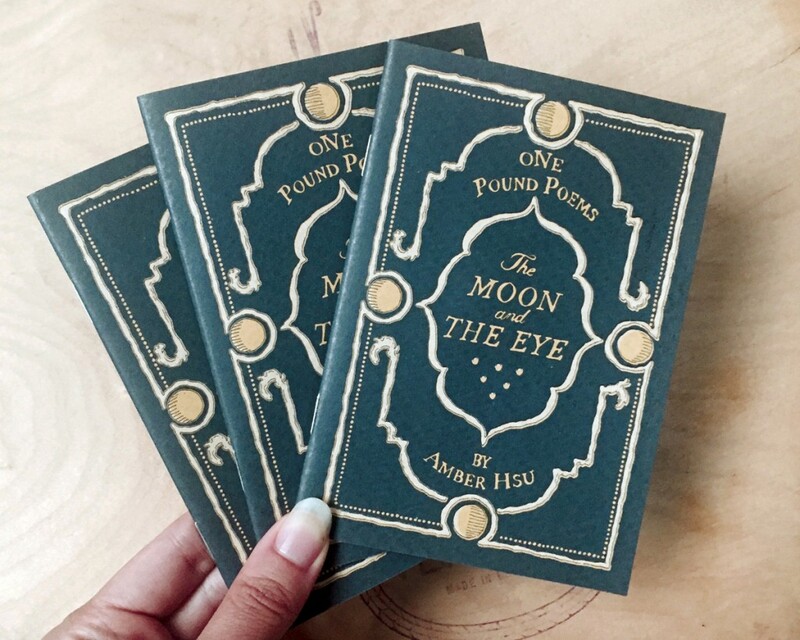 Tagged one pound poems, poetry, the moon and the eye, zines.